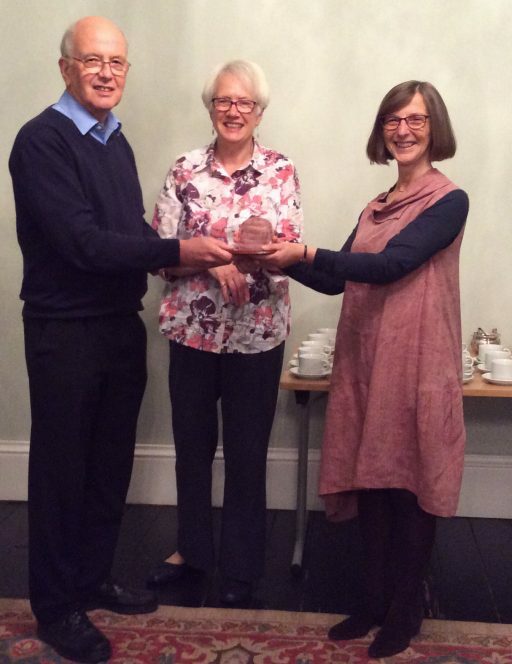 Sheila introduced Graham Chalmers, a journalist working for JPI Media as Features Editor for the group of newspapers that includes the Ripon Gazette. She recalled that this was not the first time he had adjudicated for our Group. Graham began by insisting that he was a journalist rather than a writer. He had come to the profession after reading politics and modern history at university. In his view one didn’t have to be a good writer to be a journalist. He then went on to talk about the process of writing, describing for example how he had developed his own style for music reviews after researching the styles already found in print. 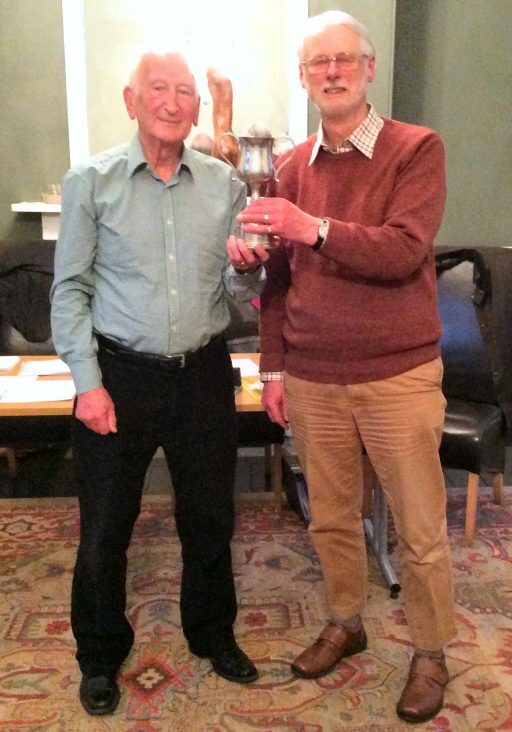 Graham then presented the trophy to Malcolm. 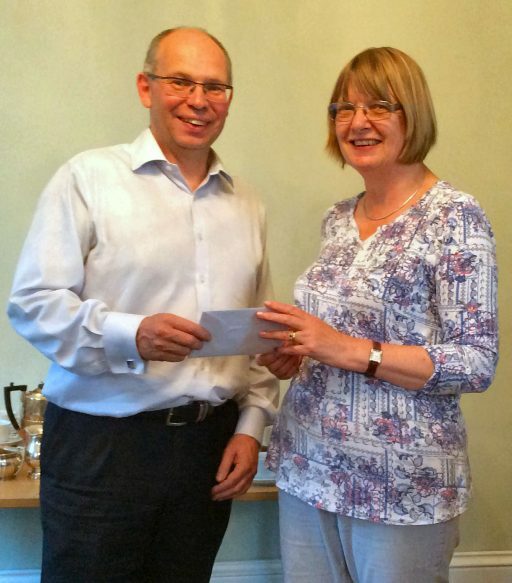 Graham had to leave immediately after the break to meet a deadline for his weekly column, but not before Sheila expressed the Group’s thanks and presented him with the usual token of appreciation. 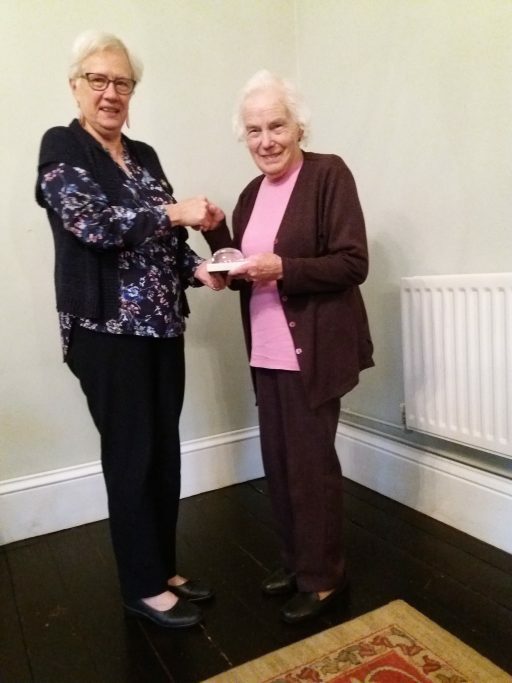 Sheila then read Malcolm’s prizewinning entry, which took the form of a memoir of his childhood home and brought the story on to the present day. Claire then read her second place entry, an account of various houses in England and abroad where she had made her home. In the absence of Peter H, the final reader of the day was Phil with his competition entry What Makes a House a Home? – a reflection on that subject using examples from various stately homes he and his wife had visited. 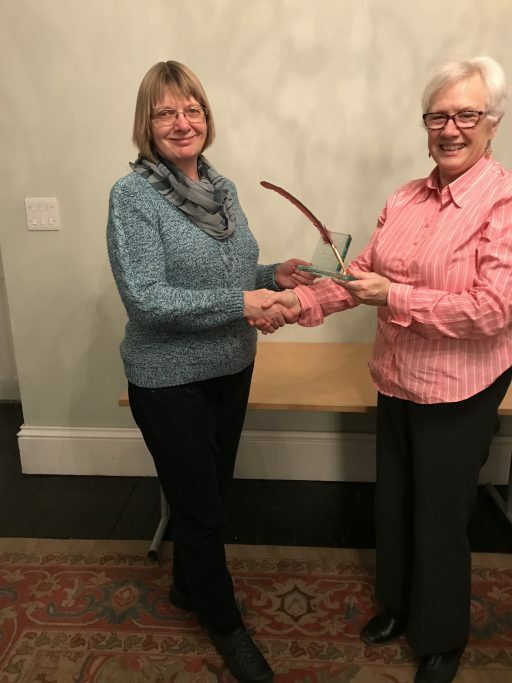 Sheila introduced Carole Bromley from York, adjudicator of the 2018 Poetry Competition. Carole is a published poet who has won several competitions and been placed in more. An English teacher by background she has also been a Creative Writing tutor at York University’s centre for Lifelong Learning. •	An absence of clichés, archaisms and word order twisted to suit the rhyming scheme. She pointed out that modern poets tended not to follow the old convention of beginning each line with a capital letter. There was time before the refreshment break for all the above six poems to be read, Sheila reading ‘The Shift of Time’ in Kate’s absence. As with most of the readings during the evening the authors present spoke briefly about the inspiration behind their poem. 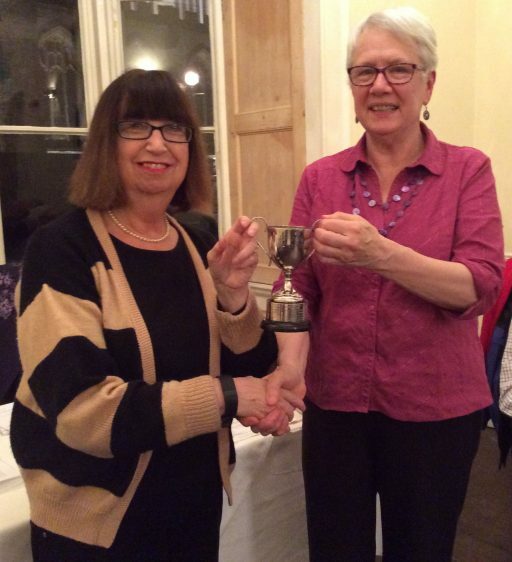 After the break Carole presented the Poetry Competition trophy to Sheila and The President’s Cup for 2018 to Janet who had been absent when the result of the latter competition had been announced at the Christmas Event. 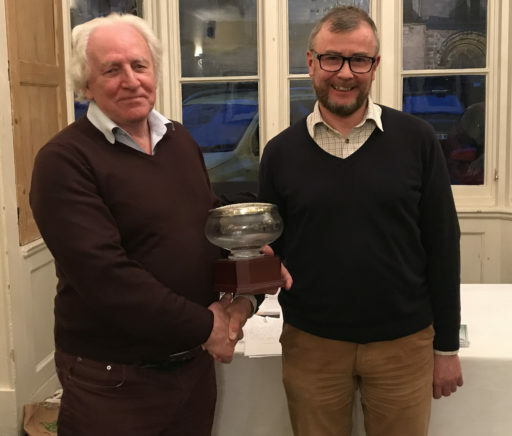 The President’s Cup is awarded annually to the member who has accrued the most points in our internal competitions. 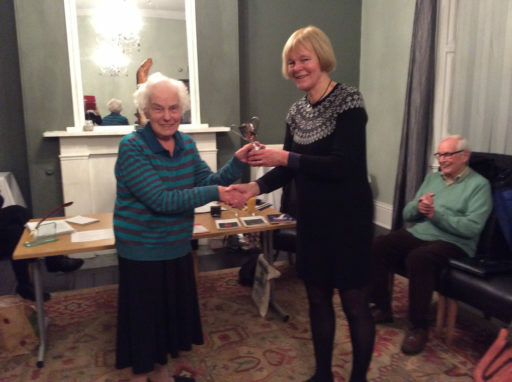 The recipient this year was Maggie Cobbett. 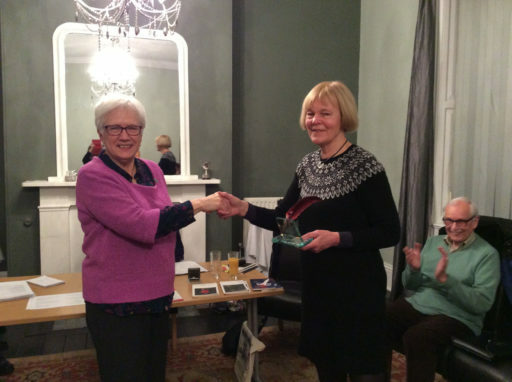 In the absence of the President, Chairman Sheila Whitfield made the presentation.